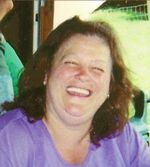 Vickie L. Wittman, age 54, of Ashland died Sunday, November 15, 2009 at Samaritan Regional Health System. She was born on August 5, 1955 in Huntington Beach, California to Clark and Norma Jean (Gaddis) Herring. She had been a resident of Ashland County most of her life where she worked as a Home Health Care Aide. She had previously worked at National Latex. Vickie was a member of the East Gate Bible Church where she participated in Bible Study. She was also a member of the VFW Auxiliary of Ashland. She is survived by her mother Norma Jean (Harold) Baker, two sons Tyson (Tiffane) Wittman, and Cliff (Jennifer) Wittman, a daughter Sarah Wittman and Mark Owens, and two grand children Colton Wittman and Brandilynn Owens all of Ashland, three step-sons Darrel (Hope) Bowen of Ashland, Doug (Chip) Bowen of Ashland and Dan (Mandy) Bowen of Jeromesville. Also surviving are two brothers Robert Bowersock, Jr. of Red Haw, and Jeff (Karen) Bowersock of Nova, two sisters Becky (Randy) Shank of Ashland and Carol (Brent) Schoonover of Jeromesville, two step-brothers Brian (Carrie) Cupp of Findlay, OH and David (Marsha) Herring of Leipsic, OH, one step-sister Nancy (Joe) Meyers of Leipsic, OH. She was preceded in death by her father, the daddy who raised her Robert Bowersock, Sr., step-brother Alan Herring and her soul mate Larry E. Bowen. Services will be held Thursday, November 19, 2009 at 11:00 am at Heyl Funeral Home, 227 Broad Street, Ashland, Ohio 44805 with Pastor Nathan Wells officiating. Burial will follow at the Adario Cemetery, Adario, OH. Friends may visit with the family at the funeral home Wednesday, November 18, 2009 from 6 to 8 pm.